I'm a bit baffled that I'm saying this, but so begins my final week of summer before I go back to Illinois to start my last year of college. Where did the summer go? Where did the past three years go? Time is moving far too quickly for my liking and I just want freeze everything for a moment so I can catch my breath and enjoy it. Maybe bottle it up for a little and then resume everything after I've gotten a good 24 hours of sleep? I'll settle for less, I'm not greedy. Of course, that's not say that I'm not incredibly excited for what's to come and making the most of my last days of summer while I'm at it. 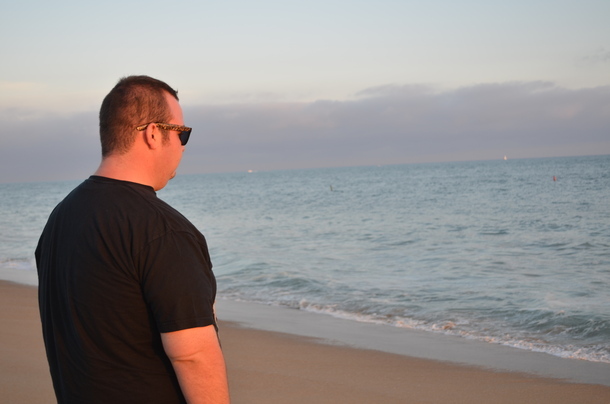 Last Thursday, I spent the day at Balboa Island with my friend Adam. 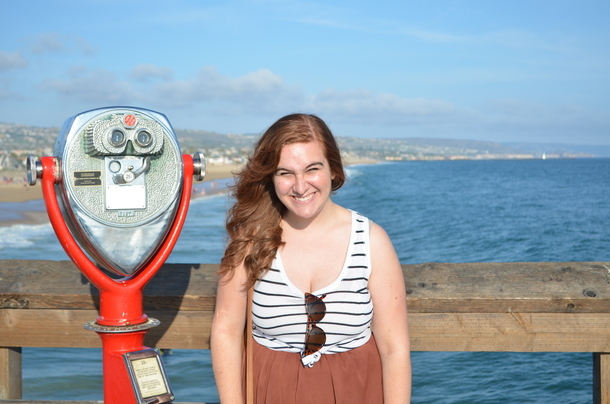 For being born and raised in Southern California, I'm surprisingly not a huge beach person. 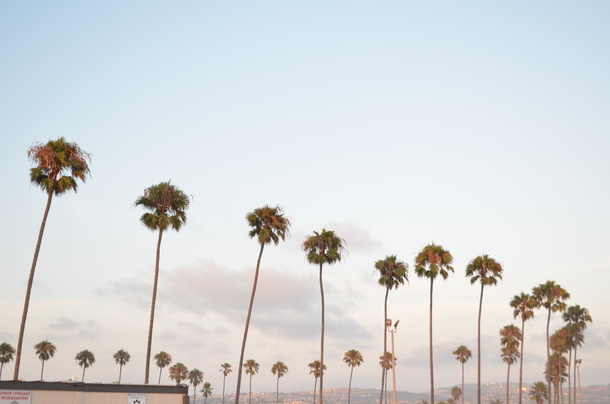 However, Balboa is one of my favorite places in the world. My oldest brother used to live on the island, so I used to go visit him with my parents often as a kid. 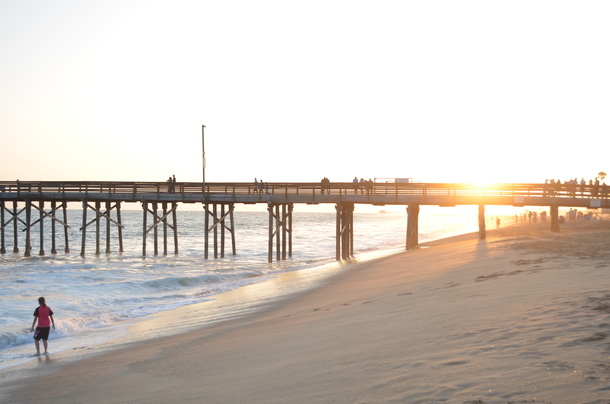 There's something about the beach town that's magical. 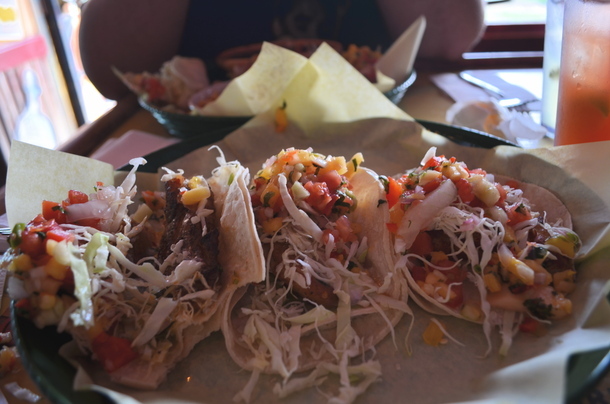 It's almost as if everyone there really did find a way to freeze time, enjoy the ocean breeze, and enjoy some fish tacos without a care in the world. Despite it only being about 20 minutes away, I managed to go the entire summer without making a trip there before last week. 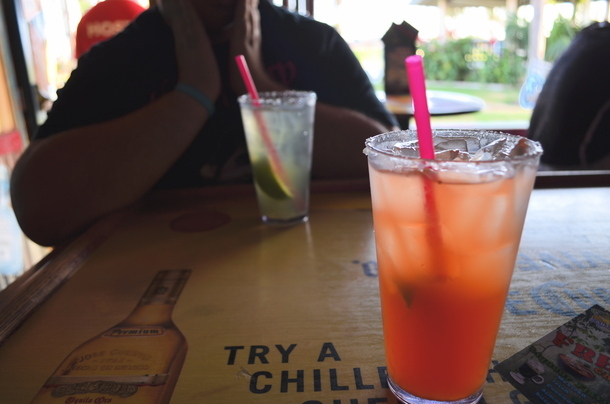 Luckily, I was able to get in my fix and had a fantastic afternoon of palm trees, walking on the pier and the beach, tacos, margaritas, frozen bananas, and salt water taffy. If you're wondering if I was mostly in for the food — yes. Yes, I was. I did make Adam snap a few pictures of my outfit on the pier. 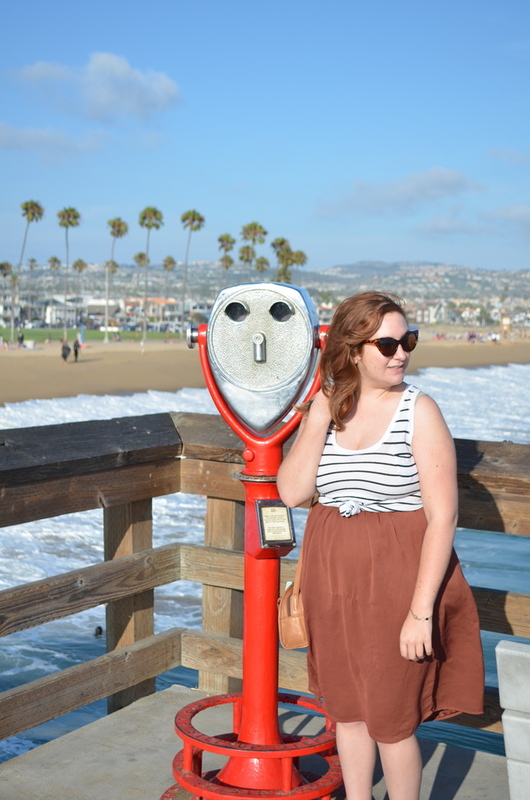 I wore Kristian's skirt that borrowed via Flock Together and it was absolutely perfect paired with a simple striped tank for a day at the beach. Relaxed, but not too casual was exactly what the beach doctor ordered. Not that that's a thing, but let's all just go with it and pretend that never happened. This post was fairly picture heavy, since this was the first time that going since I bought my camera so I went a little crazy. This is just a small sampling of the amount I took, but I hope you enjoyed Balboa as much as I do. Of course, it doesn't hurt that it's home to the Bluth family and the perfect excuse to make Arrested Development references all day. There's always money in the banana stand. What pretty pictures! I love your outfit! Glad to hear you're enjoying the last of your time in California before you go back off to school! Perfect beach outfit! The length of the skirt is great for when it gets super windy! Good luck and have fun during your last year at college!!! I'm shocked by this too- I feel like you were just getting home for the summer and starting your internship! Crazy! A beach day sounds amazing, I wish I lived closer to the ocean! You look too cute- also now I want a chocolate covered banana! Ok, these might be the most beautiful outfit pictures ever! You look great! I can't imagine a more simple&pretty outfit for a day like this. 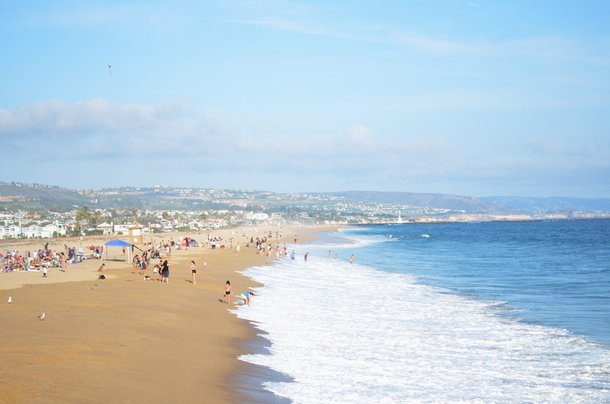 You have no idea how badly I wish I were anywhere near a CA beach right now!! I'm sure you have lots to check off your list this week before you head back to school, have a great one Elana! Ha, I'm not much of a beach person either! I think we just take advantage that it's so close. I love the way you styled that skirt, it really is perfect for summer. Oh, and those sunglasses were MADE for you! What a gorgeous outfit, I love the flowy skirt so much and you are so pretty in these photos! Looks like a great day. 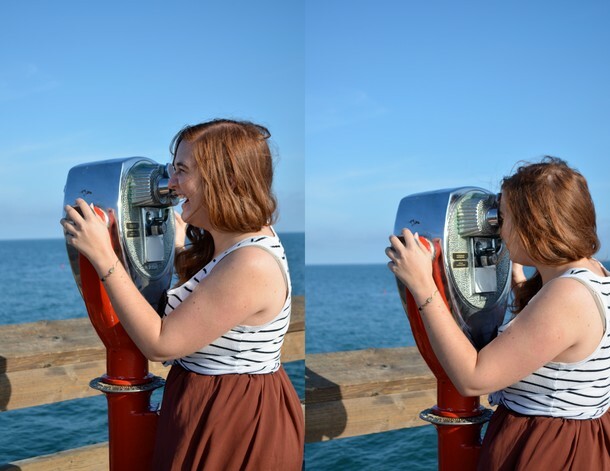 What great pics - and your hair looks so pretty in the breeze! Very cute! Quite jealous you're graduating soon. I'm pretty much your age & still doing school myself probably for 2 more years! Wait. I'm stealing this perfect beach outfit. But actually. Watch out. You look so adorable - that skirt is so cute! Also, whatever drink you had looks absolutely scrumptious. AND THERE IS A BANANA STAND? I can't. That is too perfect! 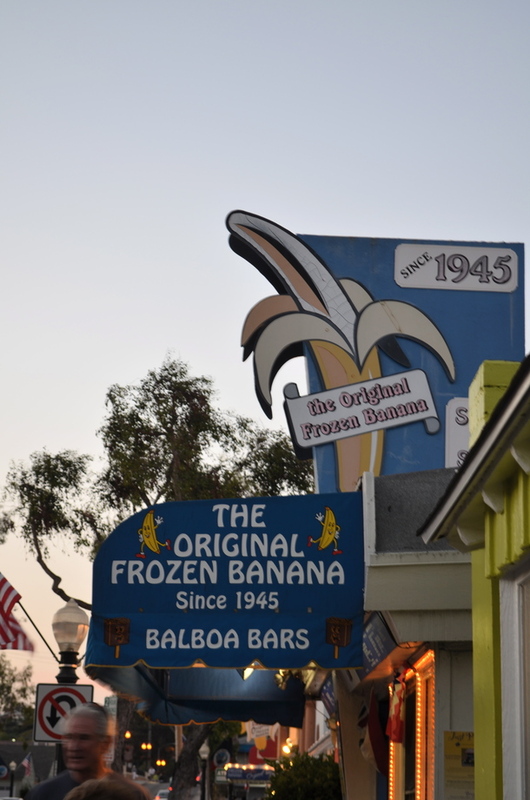 Balboa is now going on my list of places to visit! It looks so lovely (yes, especially the food... and those margaritas!). You look adorable as always! That simple beach ensemble is perfect. I've actually NEVER BEEN HERE!!!! When you come back, you gotta take me! This is one of my favorite outfits of yours! Your hair is so cute with this wavy-ness and those glasses look perfect :) Have fun in Illinois and I'll miss you! oh, how fun! i love frozen bananas, i bet that one was wonderful! good luck on your semester starting up again! 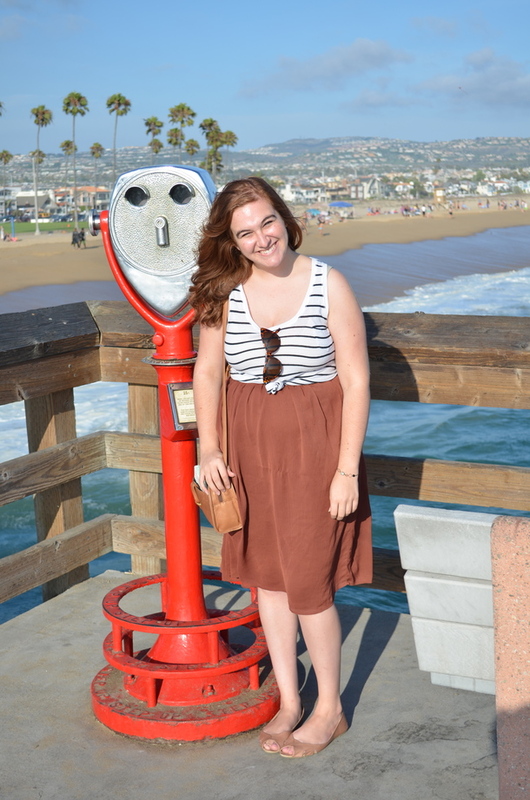 The midi skirt and striped tank are perfect for this outing! This looks like so much fun, I miss the beach so much here in Colorado during the summer. 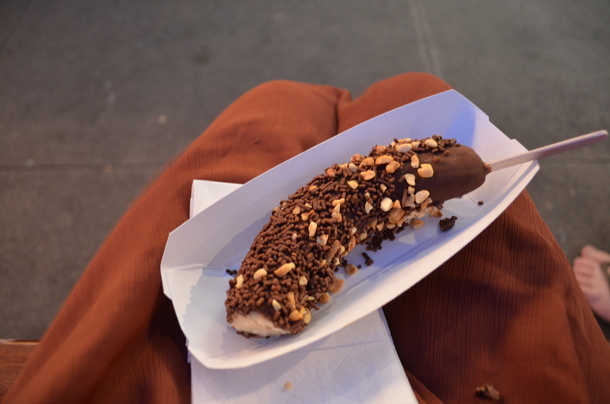 I could seriously go for one of those chocolate dipped bananas right now, YUMMM! how cute you are!! also, after living in socal for so long you would think id become a beach person....buuuuuut im not. haha i dont hate it though! only last year did i really start going to the beach a lot. i just dont really like the sun or the smell or sunblock or places where there are too many people. and sand. im not a big fan. omg that makes me sound like suuuuch a beach hater haha. I love this outfit. It's so perfectly you and I also love the setting. And how the hell are you not into beaches? If I lived near one, I might never leave. Maybe there's a reason I never lived near one...I might be a very different person. Anyways, I must say that I am absolutely in love with all the other photos. You did a wonderful job and I think you should add more photos like these to your posts. And yes, what the hell....time never stops when you grow up. I love these pictures, I certainly didn't mind a picture heavy post, I LOVED seeing the beautiful beach and a big of what you were doing in the moment. 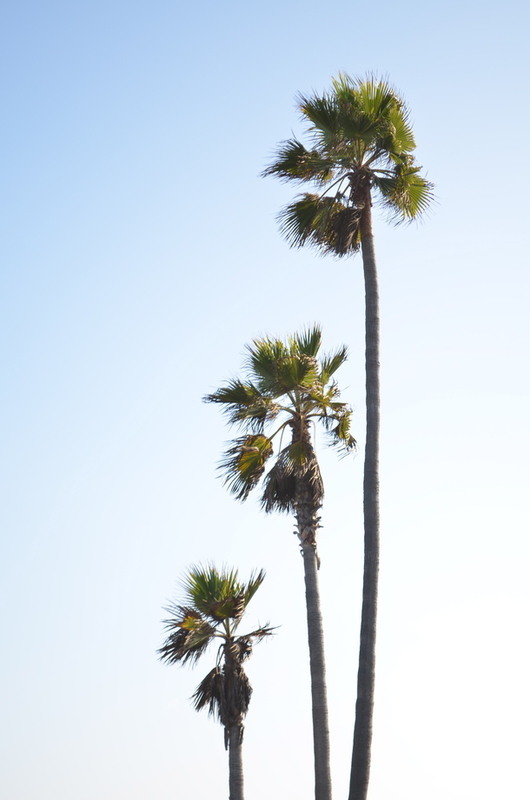 i esp love the row of palms and you looking into the telescope. and ah girl, dont' even remind me about time because college ended for me 4 years ago already! you all make me feel old. anyway, I love the "doctor's ordered" outfit, cute use of Kristian's skirt! 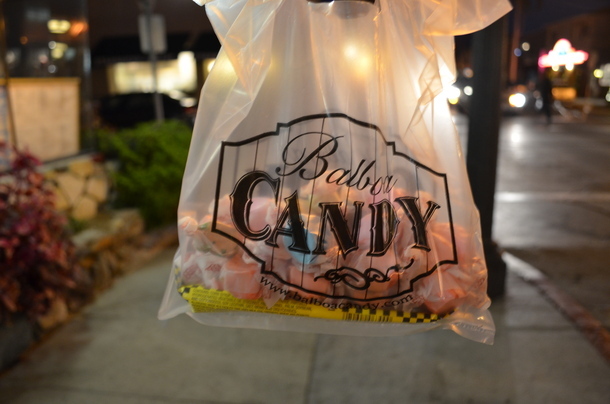 My brother lives in Newport Beach and every time we go visit him a trip to Balboa is a must! It is so cute, I love it there! Riding the little ferry over makes it all the more better. Just found your blog and am a new follower! Love it! In my best Homer Simpson voice: Hmm, tacos... YUM. Haha! They look yummy and the beach town looks magical. I'm a huge beach person but every year the beach seems further and further away even though I live like 15 minutes from it on a good day with no traffic! Loved your cute sunglasses. I just got a pair of red cateyes. Red! I am super excited to wear them. Your comment made me :D !! I've been working more often and I took classes all summer long, so I've fallen behind on commenting and catching up on blogs. I totally get it! Glad you liked my denim bustier too; it's super versatile and I recommend one for everyone!